The Pasic river cuts through the sprawling capital Manita. In November 2014 the Philippine Supreme Court ordered all petroleum depots in the Pandacan district to vacate the area for public health and safety reasons. 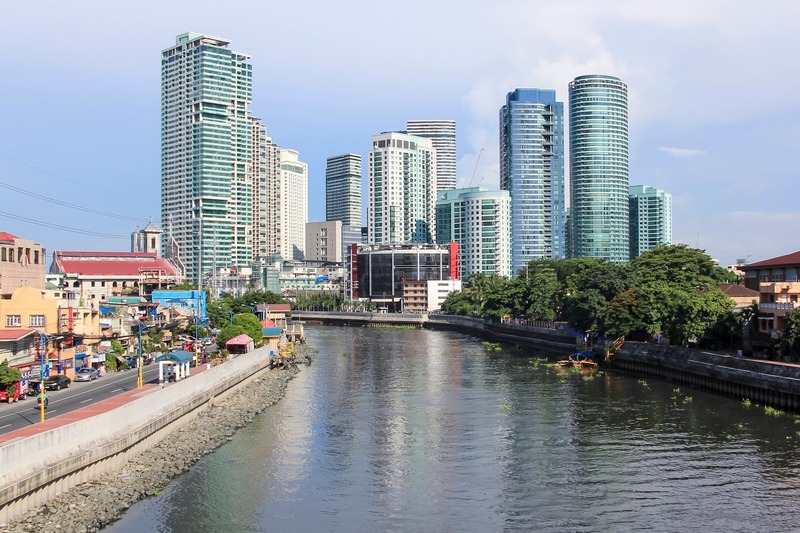 Situated right next to the Pasic river, which cuts through the country’s sprawling capital Manila, Pandacan was home to depots of three major oil companies, some of which have been in operation since 1914. As the city plans to open up the land to commercial or residential developments, the court also ordered the remediation of the soil covering an area of 33 hectares which had been contaminated during storage or transportation. Pollutants included so-called Total Petroleum Hydrocarbons which can contaminate massive areas of soil and groundwater, causing serious damage to the environment and people. One of the three oil and gas companies was facing significant pressure from the local and national government as well as the residents near Pandacan to vacate the area and remediate the soil. The large volume of contaminated soil made the remediation project complex so three companies partnered to tackle the issue. The project is led by American consulting firm AECOM which performs the analysis of the waste and manages compliance and permits. Charifer Builders, a local partner is in charge of civil works and site management. Geocycle Philippines transports the waste from the site to the Bulacan cement plant for final treatment through pre- and co-processing. The teams reviewed a number of soil remediation solutions but Geocycle won the bid for multiple reasons not only cost. “Geocycle's solution was considered the best option for this project as the treatment process completely destroys the contaminants, and leaves no residual liabilities at the project site,” says Alfred A. Lalu, Technical Director, Environment of AECOM Philippines Consultants Corp. 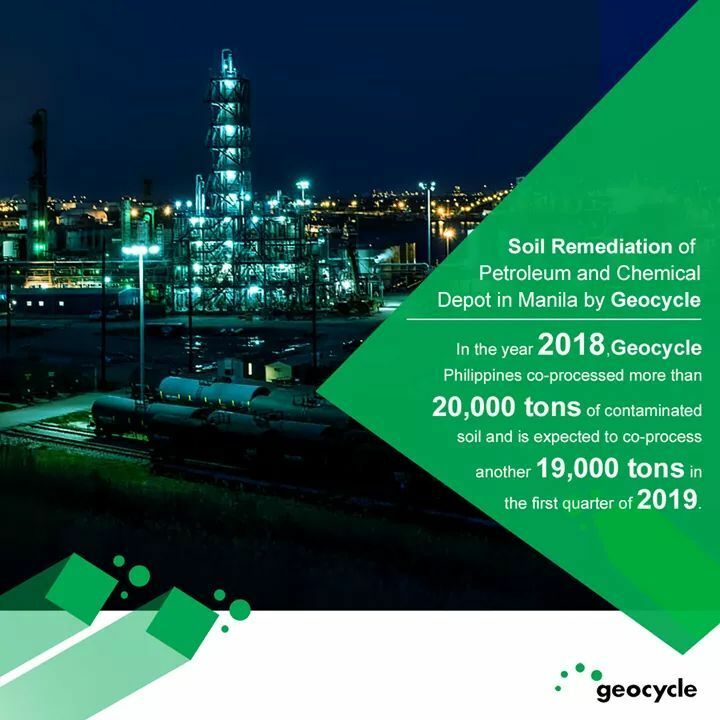 In 2018, Geocycle Philippines co-processed more than 20,000 tons of contaminated soil and is expected to co-process nearly the same amount in the first quarter of 2019 alone.